ATLANTA, July 15, 2005 – The nonprofit Rechargeable Battery Recycling Corporation (RBRC) today announced its collection data for the first six months of 2005, reporting that a total of 2,259,635 pounds of rechargeable batteries was collected in the U.S. and Canada through their Call2Recycle? program — an increase of 9 percent from the same time period in 2004. Call2Recycle is the nation?s most comprehensive rechargeable battery and cellphone recycling program featuring more than 30,000 collection locations across the nation where consumers can drop off used rechargeable batteries and old cellphones. Through RBRC?s recycling network, reusable metals from Nickel-Cadmium (Ni-Cd), Lithium Ion (Li-ion), Nickel Metal Hydride (Ni-MH) and Small Sealed Lead (Pb) batteries are recovered and recycled to make new products such as new batteries and stainless steel. Cell phones collected through the Call2Recycle program are recycled or refurbished and resold, with a portion of the proceeds benefiting national charities, such as Boys & Girls Clubs of America and the National Center for Missing & Exploited Children. The list of wireless products powered by rechargeable batteries today includes numerous communication and music listening devices (e.g., MP3 players, laptop computers, PDAs, pagers, and cordless or cellular phones), as well as digital cameras, cordless power tools, electric toothbrushes, camcorders, handheld mini vacuums and remote-controlled toys. Consumers are clearly growing increasingly reliant on these types of products. In fact, according to a recent study conducted by NOP World on behalf of RBRC, Americans use an average of six wireless products in their day-to-day lives, and over 30% of consumers own and use eight or more wireless products. As the use of wireless products continues to grow, so does the number of rechargeable batteries that can and should be recycled through Call2Recycle?s channels.
? New public service announcements (PSAs) produced featuring RBRC spokesperson Danny Seo. Titled ?Recycling Magic,? environmental activist and leading eco-stylist Danny Seo is starring in three spots encouraging young Americans to live a ?greener? and more eco-friendly lifestyle. The 30 and 15 second spots are currently airing on the HGTV and on TLC networks. Step-by-step tip sheets of Seo?s creations are available on the RBRC Web site at www.call2recycle.org.
? All associated fees waived for businesses. Businesses need no longer pay for the shipping of rechargeable batteries and cellphones collected at the workplace. 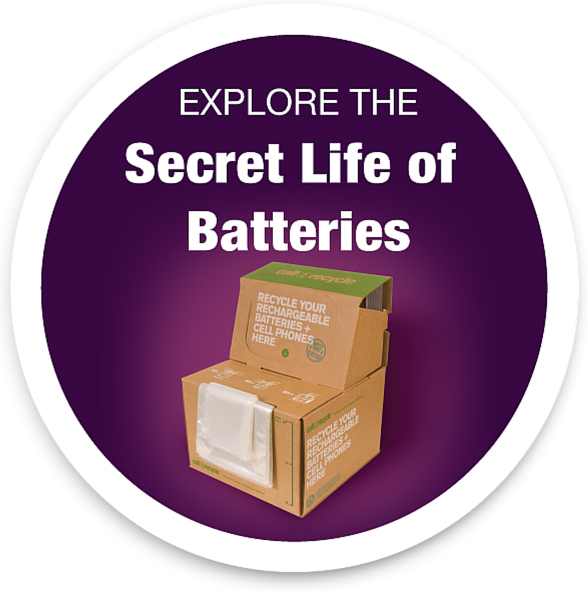 Once registered, participants receive a free shipment of collection boxes that includes pre-paid shipment, pre-addressed shipping labels, safety instructions and plastic bags for each used rechargeable battery and cellphone.
? Recipient of the 2005 Outstanding Sustainable Style Achievement (OSSA) Award. Presented by the Sustainable Style Foundation, RBRC was recognized with an award in the category of ?Industrial Design & Consumer Products? for its national Call2Recycle? program. The OSSA awards are held to honor individuals or firms for exceptional and exemplary work in the sustainable design of consumer goods, automobiles or technology. ?Our goal is to continue to develop new and innovative ways to make it easy to recycle used rechargeable batteries and cellphones,? said Ralph Millard, Executive Vice President, RBRC. ?Our objective for the rest of the year is to continue our efforts to educate consumers and program participants on the importance, and ease, of recycling rechargeable batteries and cellphones. We look forward to continued growth in the next six months. ?